The Hill is truly a home to approximately 60 boarders, who live in the same halls that FSHA’s first students inhabited in 1931. Check out photos of the boarding hall, including the rooms, common areas, dining room and more! You can also read about important details like the dining schedule, how laundry works and where you'll get to hang out with your new friends. Rooms are furnished with a bed, desk, dresser, bookshelf, nightstand for each student. While we expect each student to keep her space neat, that doesn’t mean it needs to be boring! We encourage students to make their space unique with decorations and pictures. Rooms also come complete with a trashcan, power strip and locker for each student. Each student has a bed, desk, dresser, bookshelf and nightstand in her space. Each room has its own bathroom, so there's no need to walk down the hall to shower in the boarding hall. When you move in, you'll have either one or two roommates. 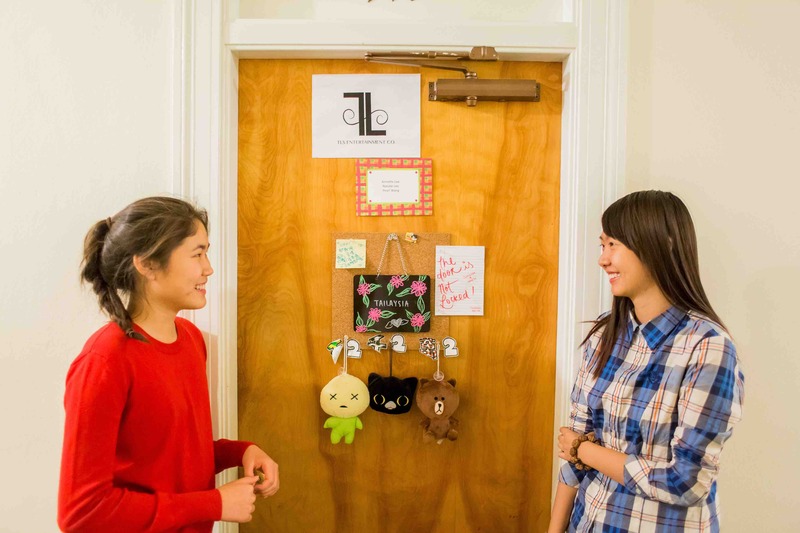 We'll carefully assign roomates based on interests, background and hobbies. 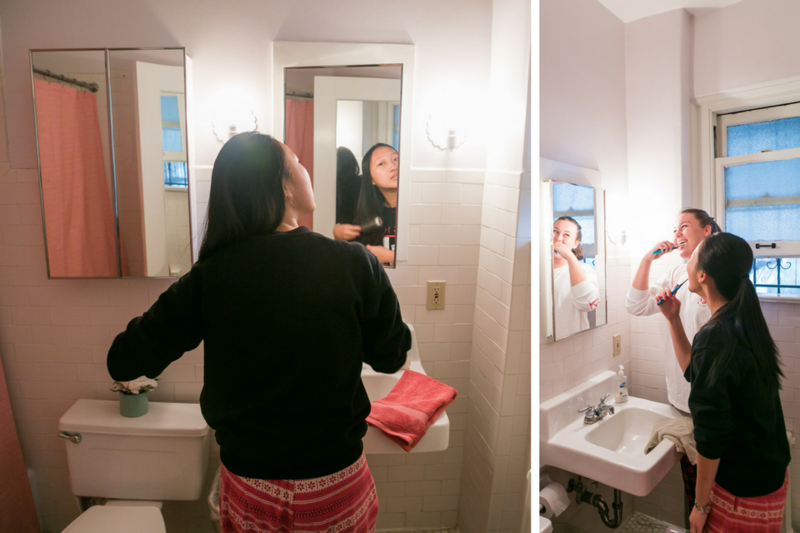 We won't be surprised if your roommate becomes your trusted best friend! 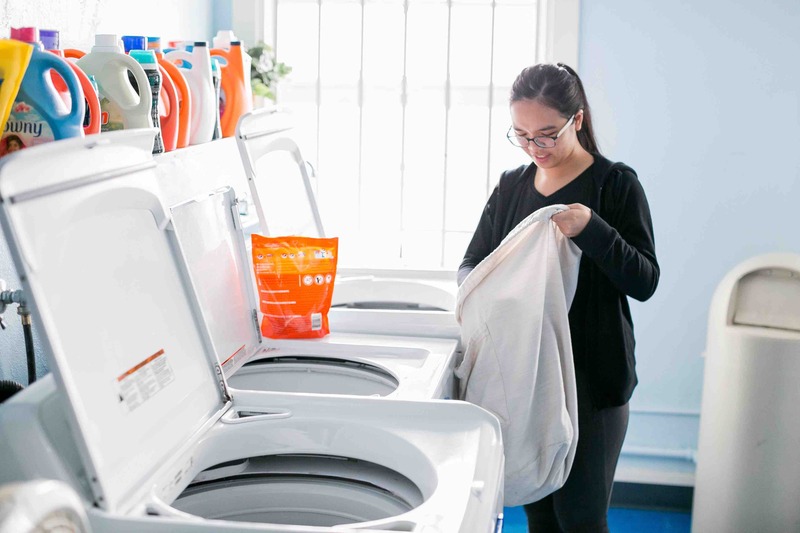 We have a laundry room just for boarding students. We schedule days for each grade during the week so everyone gets a chance to wash their clothes and linens. Weekends are open to any grade level. Sign-up for laundry in the office and make sure to keep the line moving! Did you know that FSHA originally was a hotel? Meals are served in our Dining Room, which is the same space hotel guests dined in when the hotel opened in 1931. We love getting together for dinner, so we eat together each night, Monday through Thursday. We also celebrate birthdays with monthly, themed birthday dinners. 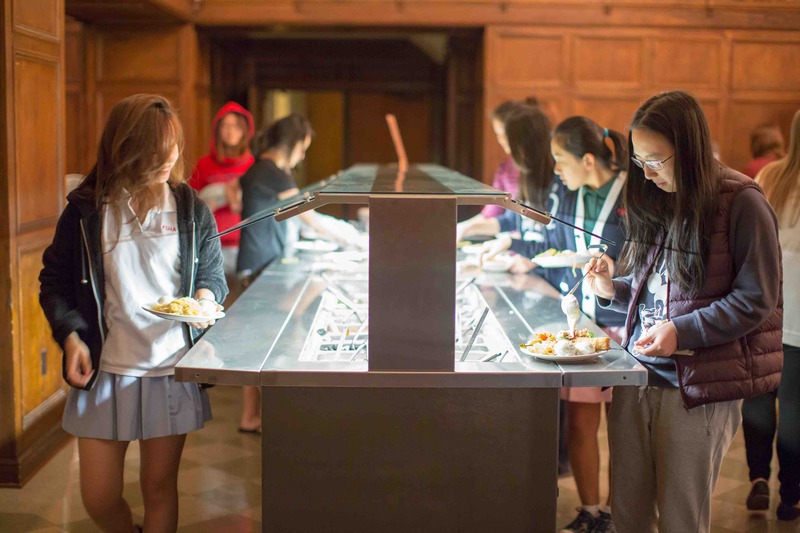 On school days, lunches are served at the Student Activities Center. 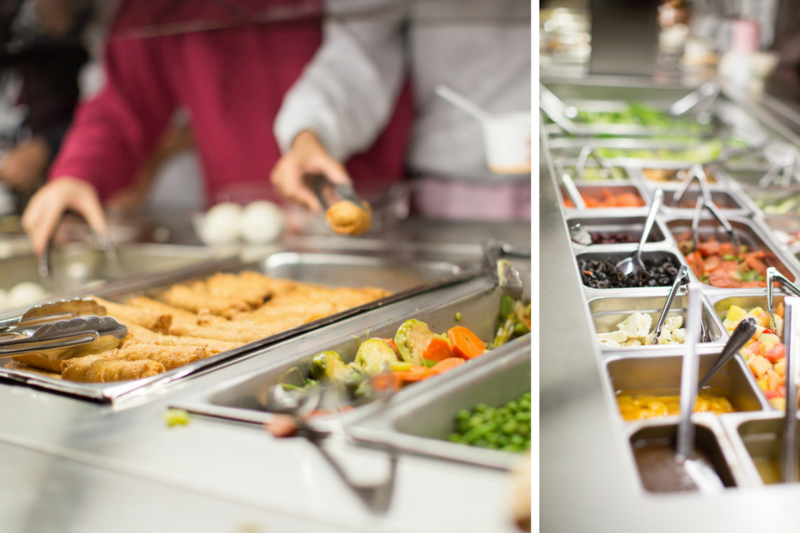 CulinArt Group is our dining service provider and prepares all meals on campus. Meals are crafted to support a healthy lifestyle and offer wholesome, balanced food options. This is a popular spot to hang out, study and cook! Decorated with a 1950s-diner style, the Club Room is outfitted with refrigerators, a stove and cabinets. 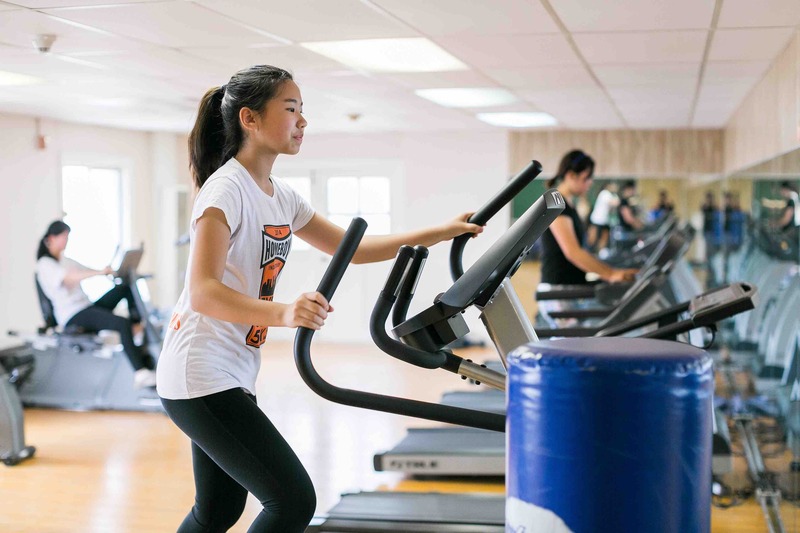 Boarding students have their very own gym to work out in. The gym closes at 10 p.m. each night. 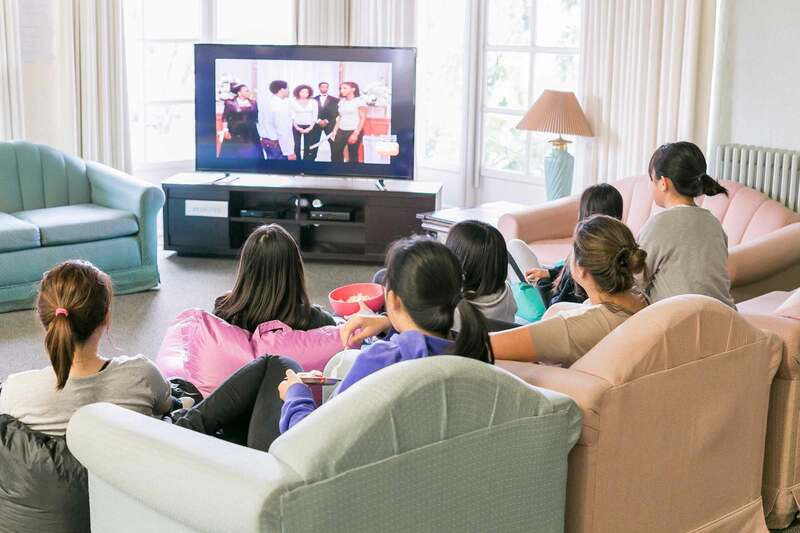 With plush couches, televisions and lighting, these locations are more great spaces for hanging out or studying with your friends in the boarding hall. With the warm Southern California temperatures, a pool is a must. 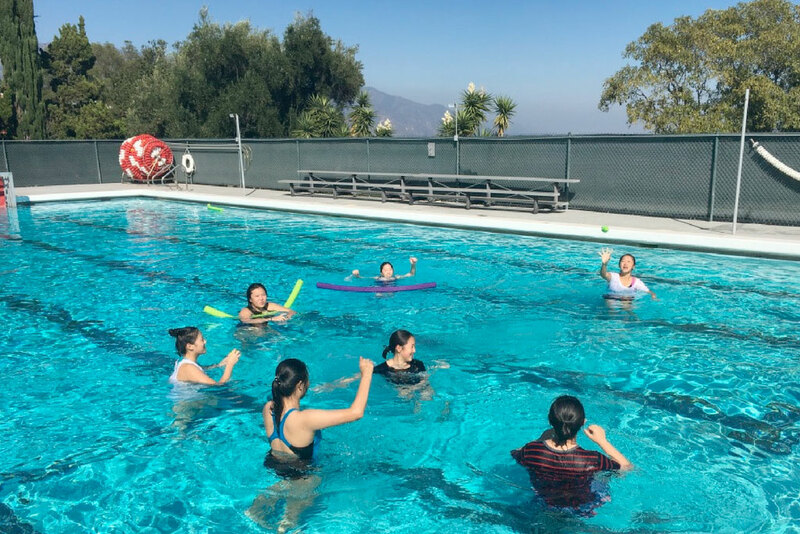 Our boarding students get to take advantage of FSHA's pool, also home to water polo and swim practices. We call our campus the Hill for a reason— we have an amazing view! Pictures hardly do it justice, so hopefully you'll be able to schedule a visit to see for yourself. 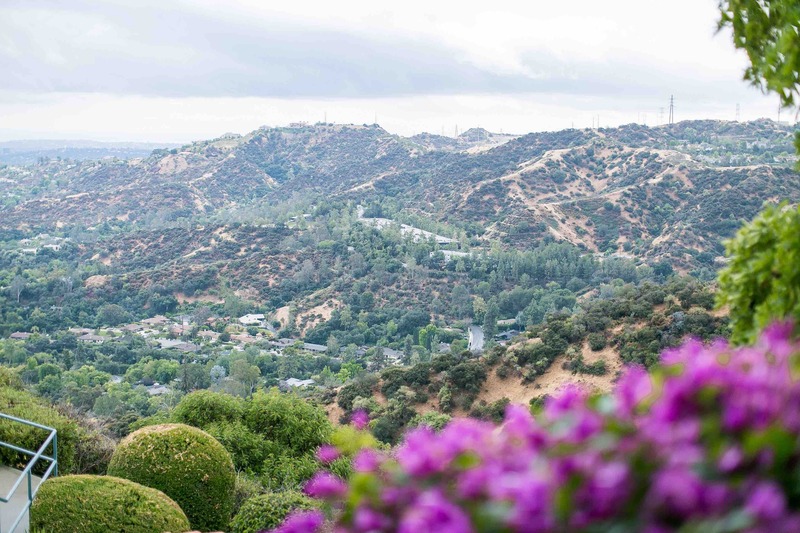 With sweeping views of Pasadena, La Cañada and other surrounding areas, you'll also spot a range of wildlife on campus, including deer.